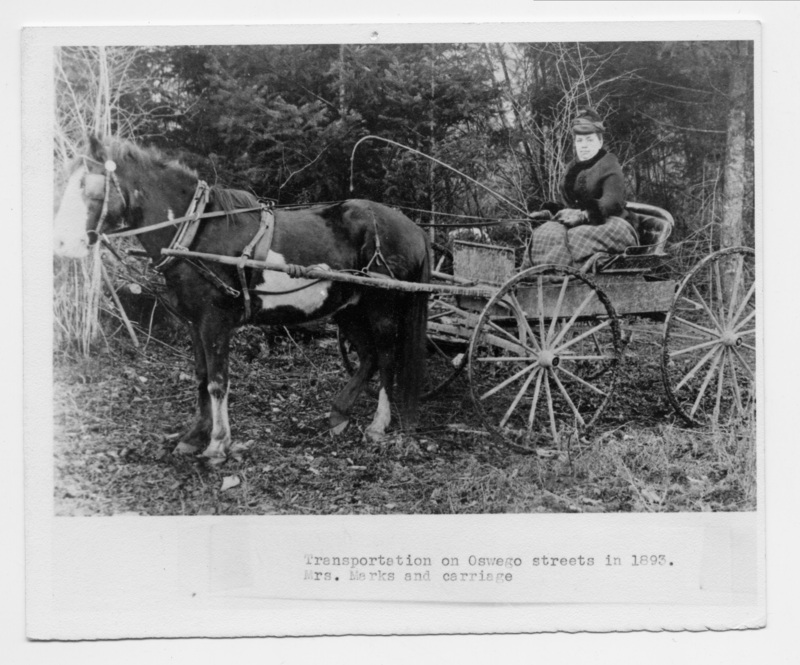 1893 - Transportation on Oswego Streets Mrs. Marks; Returned to Oswego Library Files. Description Photograph of 245c & same image as 245a - e; paper yellowing; note on front: Transportation on Oswego streets in 1893. Mrs. Marks and carriage. Transcription 1893 - Transportation on Oswego Streets Mrs. Marks; Returned to Oswego Library Files.